The "Rush" is a common theme in Western American lore: gold seekers rush to places of new discovery; settlers rush west to set up farms and "civilize" the landscape; railroads rush west to connect the country and bring riches of the frontier back to eastern markets; and today, those wishing to cash in on marijuana join a "Green Rush" to the western states that have legalized it. In typical stories about the American West, individuals travel to a new land and brave difficulty and ruin in an attempt to make their lives better. But what is often lost in romantic stories of Western individualism is how much help those "pioneers" had. In many cases, it was a powerful federal government - not gritty individuals prevailing over immense odds - that played the most important role in the historical rushes of the West. The California Gold Rush (1848) could only happen after federal troops killed enough Mexicans to acquire California, then looked the other way as white Californians slaughtered and enslaved indigenous people. Later, those much-adored, rough-and-tumble homesteaders could only rush to their western land after federal homestead acts and more Indian killing. Railroads extended westward not by the grace of corporate visionaries but by the lure of federal land grants - which, again, were based on the extermination of Indians and their claims to said land. Similarly, federal policy is largely responsible for today's "Green Rush" - albeit in more indirect ways. And just like in past rushes, federal policy has helped ensure that the benefits of the Green Rush are disproportionately distributed to white Americans at the expense of Latinos and other nonwhites. 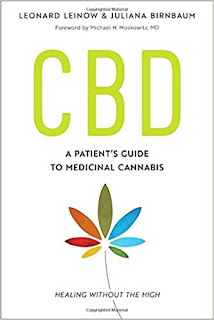 Federal cannabis prohibition - in place since 1937 - resulted in a number of negative effects that eventually convinced voters in several western states to legalize marijuana within their borders, beginning with California's adoption of medical marijuana in 1996 and continuing through the present legalization of general adult use in several western states. This alone made states such as California and Colorado magnets for those who wanted to profit from or enjoy legal marijuana. In southern Oregon, the understaffed Medford Area Drug and Gang Enforcement (MADGE) has no idea which grows are legal and which ones aren't, and can't figure out whether some of the illegal ones can be traced to Mexican cartels or other DTOs ("drug trafficking organizations"). 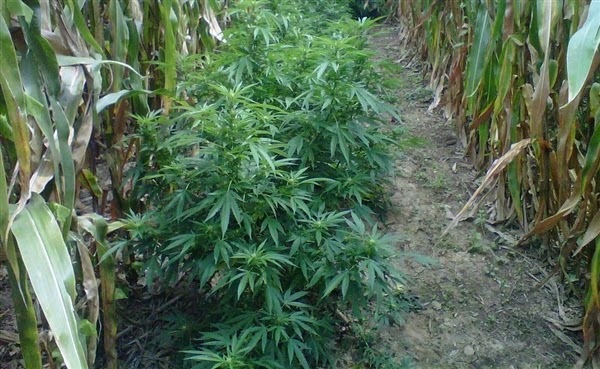 Last month in California, Butte County sheriff's deputies shot and killed an armed, illegal marijuana grower after the suspect threatened to kill a hostage. The outlaw growing culture in the Golden State, with all its unexpected and sometimes violent elements, is well documented. Yesterday in Neah Bay, Washington, Makah Tribe authorities found a marijuana crop they believe was laced with fentanyl, a powerful opioid that is stronger than heroin; meanwhile, about 7.5 percent of weed grown legally in Washington leaves the state to be sold on the black market (it was 12 percent before neighboring Oregon legalized in 2014). Earlier this year, police uncovered a massive home-grow operation in Denver that spanned the entire metro area and sent marijuana to Illinois, Arkansas, Minnesota, and Missouri; sixteen people were indicted. 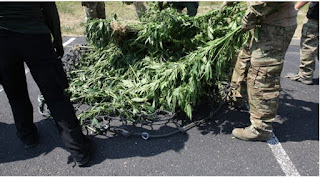 And a few weeks ago, authorities in western Colorado found 9,200 cannabis plants illegally growing on an island in the Colorado River near Grand Junction. Clearly, the rush of outlaw growers to Oregon, California, Washington, and Colorado has overwhelmed local authorities, creating a patchwork of legal and illegal marijuana crops that threatens to undermine the progressive aims of states that embraced an alternative to the Drug War. It truly is the Wild West of Weed, and with Nevada's recreational marijuana program still in its early stages, it may only get wilder. Outlaw growing is hardly the only consequence of the federally driven Green Rush. The legal marijuana industry in the West is leaving out Latinos, blacks, and American Indians - all communities that were victimized by past western rushes. 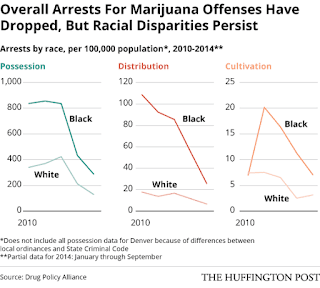 Again, federal policy is mostly to blame: although blacks, whites, and Latinos use marijuana at similar rates, the enforcement of federal prohibition fell disproportionately on minority communities, resulting in inflated incarceration rates for black and brown Americans. 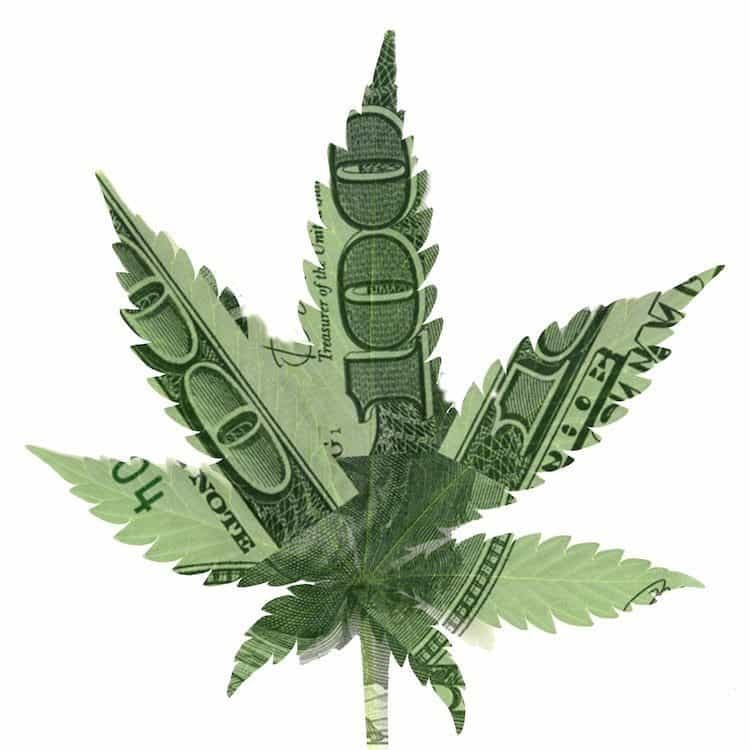 Combined with racial disparities in wealth, education, and housing, this meant that blacks and Latinos were in a far worse position than whites to capitalize on the marijuana industry when it became legal. The results? 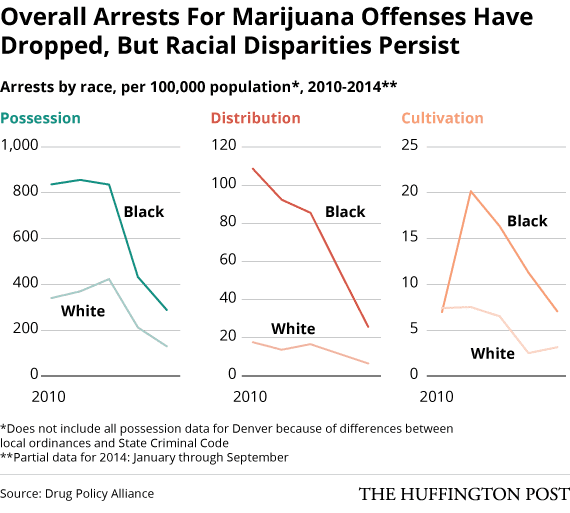 Most owners of legal marijuana dispensaries are white men; in California and Colorado, blacks and Latinos are still being arrested for marijuana offenses at a higher rate than whites. Meanwhile, despite dealing with crippling poverty, many American Indian Tribes are choosing to stay out of the new industry out of fear of federal retribution. White Westerners do not have to weigh such options and are free to reap the rewards of legal weed. Of course, there are some critical differences between the exclusion of minorities in today's Green Rush and the rushes of the past. Today's racially imbalanced weed industry is more the result of decades of institutional racism and the disproportionate Drug Wars than it is intentional exclusion by marijuana business owners. During the California Gold Rush, blacks, Mexicans, Chinese, and other minority gold seekers were not as fortunate; whites barred them from their share of the wealth by taxing them unfairly, passing fugitive slave laws, or running them off of promising claims. Still, the racial disparity of the Green Rush makes the point that the benefits of the great rushes of the West are still for whites only. The major role of the federal government in the various western rushes complicates the traditional narrative that enterprising easterners traveled west, overcame a slew of setbacks and obstacles, and capitalized on nature's bounty - whether it be gold, land, or weed - largely due to their own effort. 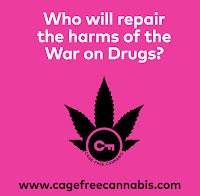 More importantly, though, it reminds us that if the federal government helped cause the problems vexing legal marijuana in the West today - such as racial disparity and outlaw cultivation - then it must also be involved in the solution of those problems. Politicians and other authorities in states that have taken the progressive step of legalizing marijuana must realize this and intensify calls for the federal government to legalize and regulate marijuana nationwide. Only then can we truly tame the Wild West of Weed.